Wear What You Eat: Pepperoni Pizza Onesie | OhGizmo! Can’t get enough of pizza? You can do more than just eat it now, since these Pepperoni Pizza onesies actually exist. Yep, that’s right: you can now wear your all-time favorite food! While the onesie won’t make you full, you will get stares, double-takes, and the occasional drooling admirer every once in a while. Too bad the fabric isn’t edible (and pizza-flavored) right? 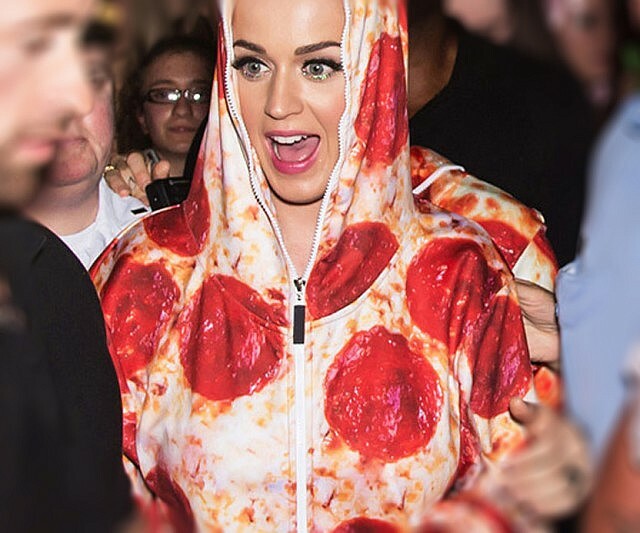 The Pepperoni Pizza onesie is available online for about ~$100.